Thank God for the Internet, we now have so many ways we can now get to generate or earn extra incomes to help make ends meet. Our today’s topic is one of such ways and it’s all about how to get paid for testing Websites. There are many Companies out there who wants to know how efficient, fast, user-friendly, or how the overall appearance of their websites are, as these always have a huge impact on how people relate with their sites.e.g If you want to shop on a website and find it difficult to navigate through the website, you will just look for another one that is more user-friendly and get what you want from there. Now when this happens, the first website has definitely lost not just traffic, but also Revenue. In order to avoid occasions like that, these Companies hire Companies that can help then find people like you and me to try out their websites and give their honest impression/opinion or review on their use of these websites. Find participating Websites: There are different websites that will hire you to test out websites for then and each one has their own guidelines and we have listed some below with each description and payment threshold. Test Website: once you get notified, you just have to log into your account, follow the instructions and do exactly what you are asked to do. Some will require you to speak of your experience as you go through the website, others may want you to write about your experience when you are through. Do have in mind that there are different things you may be asked to do on the website, whatever you are asked to do, make sure you follow instructions and do it exactly as instructed. Review: Once you finish, and are required to write about your experience, then you write every detail of what you experienced. Always try to be truthful, never try to say or do anything to please them to your own detriment. Get Paid: once you are through, and they are satisfied with your work, you will then get paid. Each company has its own method of payment and amount to be paid. Get paid to give feedback on quick design Surveys. For each test you do Successfully, you get paid in credits and once you accumulate up to 100 credits, which equals $10, you can cash out. They will pay you for giving feedback. Once you get a job offer and complete it, you will be required to share your thoughts and also provide written responses. Note: Start Up Lift recently launched a job portal known as side income.com, where they sometimes send you to sign up to get jobs, unfortunately this requires you to make monthly payments to have access to these said jobs. We don’t really recommend. Payment threshold: $5 – $20. Some projects might pay up to $90 according to them. Get paid to use websites and apps and give your honest views. Userfeel will pay you for giving your opinion after performing short tasks on a website, their tests takes between 10 to 20 minutes. With Enroll, you will take tasks like helping Companies clarify contents or simply complete tasks on a website or app to ensure the interaction makes sense. Payment threshold: varies/ you also earn badges. Pays you for giving out feedback after testing a website. Their studies takes about 10 to 20 minutes. Payment threshold: varies depending on the test. They will need you to review new websites. You also get the chance to take part in their quarterly Competition. Loop gives you the opportunity to test websites and get paid for them, The more quality experience you share With them, the more test modifications they will send your way. So it’s vital that you do each test diligently. You must first pass their initial 5 minutes case study test, which will qualify you for more tests. You will also have to install their chrome app. With User Testing, you visit the website or app, you complete a set of tasks, speaking your thoughts out load. Tests last about 20 minutes. You get paid for viewing websites and writing review of your experience while navigating the site. they serve as a means for some other companies to get their website testing across to you. Their payment varies and sometimes smaller than other sites, however it’s advantage is that you can get to do other tasks. Method: mainly Amazon Gift Cards/ Cash through your Amazon account. Specifically for finding bugs in the System, the more bugs you discover, the more money you get paid. Respondent is a research study site that conducts surveys, focus groups and website testing. Once you signup with them, they will send you detail of test that matches your demographics, then you choose when to complete the test and then get paid. Their average interview length is about 30 minutes. Note that they will take a 5% fulfilment fee from the money. To work with Userbrain, you must be ready to go live, as you would have to present a screen recording of what you do and an audio recording of your voice as you navigate through the site. You have to talk about your whole thought process, about what you experienced and noticed on the site. You will need to download their chrome extension or ios app to be able to work with them. Payment threshold: up to $50 for every serious issue found. And lesser for the app test. Method: PayPal, Skrill, Payoneer, bank transfer. With Testing Times, you get to test from products whilst at home or with the Customer. Test websites and apps and share your experience to make the product better. Their studies lasts between 30 – 90 minutes. Gives out their work through Amazon Mechanical Turk. But you can get to test apps through their website. Erlibird will pay you both for your feedback on apps, websites and hardware products. Method: PayPal / 7 days after the project. With Ferpection, you get to explore apps and websites, write both positive and negative reviews (all about your experience) send your feedback across to them and then get paid. The trick to making adequate money with this, is to sign up with as many Companies as you can. Try to follow every instruction as it’s given, and do your best to give a thorough Review when asked. If at the end of this post, you don’t think testing website is what you are really after, if you want to find a way to make money online, that will generate passive income for you and on the long run bring you that financial freedom you so much desire, then we suggest you take a look at our make money online Guide for Beginners here. Have you tries out any of these websites yet? And if you have a question, don’t hesitate to drop then in the comment box below. 23 different websites that will pay you!! I had no idea there were so many options out there to make some extra cash. In your experience, which of the websites do you like the most? 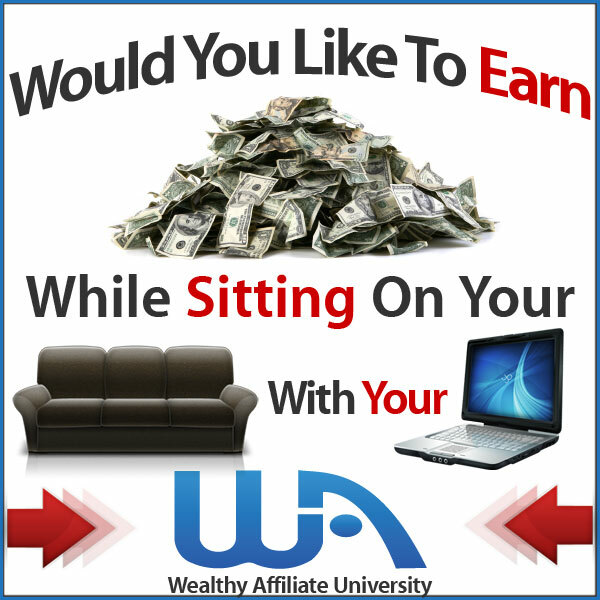 I am looking to earn the most money without having to put in a crazy amount of time. You know it all depends on the conditions involved in each situation, so it will be best you look at what it takes and see which one favours you more. Though personaly we will recommend WhatUsersDo and Userlytics. But at the end it’s still up to you to find which works for you best. I’ve never heard of any of these tester websites before. I’ve looked for them before, but could never find them. Maybe I was looking under the wrong thing. Really glad that you found them for us. I’ll have to check them out and see what I can do with them. They are descent means of a side income. Thanks for sharing these!